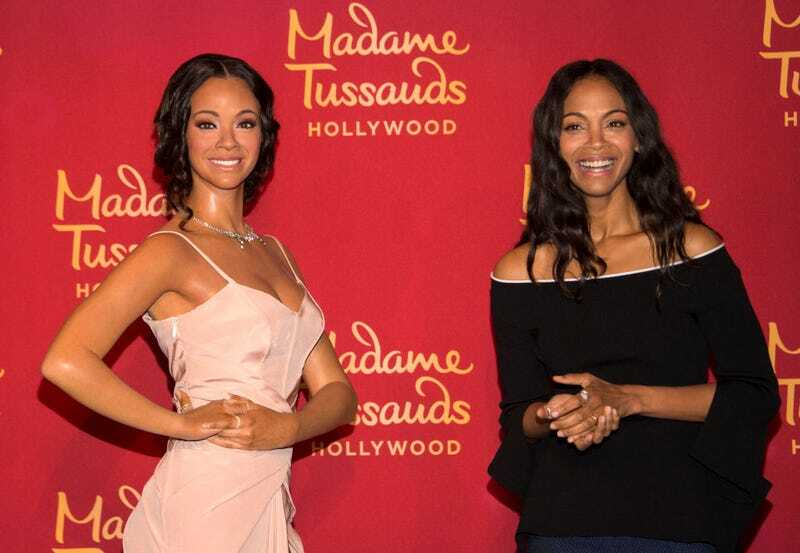 Zoe Saldana says that she’s colorblind, thanks to her starring roles in sci-fi movies. No, we’re not talking about stunts that may have affected her vision. We’re talking the “I don’t see color” type of colorblind. I get to imagine the unimaginable. I’m always in awe of writers, directors and actors who are able to pull off a world we’ve never seen—I love working with people who let their imaginations go. Plus, you get to play characters who defy gravity. I like that. It makes me feel superhuman because, obviously, it’s been brought to my attention continuously since I was born that I’m not a conventional person because of the color of my skin or my gender or my cultural background. So I think science fiction has given me the ability as an artist to be colorblind, and gender-blind, and to imagine and reinvent myself and be the chameleon actors are supposed to be. The actress is no stranger to controversy when it comes to race. We all remember the Nina Simone movie that flopped. You’d think that whoever starred in a movie about Simone would realize the complexities of race and not simplify it after playing some aliens. Also, what about being in Star Trek? How does one become colorblind by playing Lt. Uhura—a black woman in another galaxy, a role made famous by Nichelle Nichols? I mean, I guess if you’re starring in Avatar as a blue alien, a being that technically doesn’t exist, therefore you’re color- and genderless? Maybe next time, she should just say simply that she enjoys being an alien in movies because it’s fun.